Sip tea from @fashionablyhigh.ca tea cups while nibbling cookies from @laced_420 then chow down on @cannatrip_catering delicious Southern food. All the while making new friends, sharing some amazing products and most importantly getting some much needed Education to improve our lives on many levels. 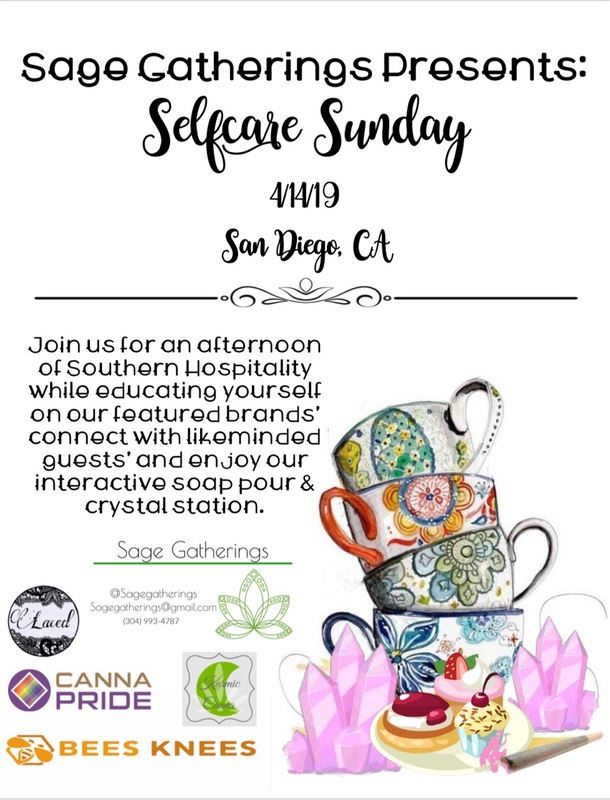 @karmiccanna will give us information on natural skin care while we do a DIY soap pour. @cannapridelifestyle will teach us about the Endocannabanoid system while we try their new product line. Then we will break and wrap our own hemp crystal smoking accessory.